I want to buy a telescope. Where do I start? What is the best telescope to buy for a beginner? What telescope to buy for my requirements? How to buy a telescope? How much is a telescope? Where to buy a good telescope? Should I buy telescope online? Which telescope has the best value? Which telescopes and brands are the most appreciated? What are some tips for buying my first telescope? Discover our guide to buying telescopes below and have fun exploring the (hopefully clear) night skies! Before we get into our How to Buy a Telescope Buying Guide, we need to go through the basics of a telescope purchase and a few details about this optical instrument that you might not know. We all know, of course, what a telescope is, but it’s almost impossible to know how the experience will be if you have not used one before or searched for information online. You might laugh at first, but almost all telescope enthusiasts will recommend that you get acquainted with a pair of binoculars before you start using a telescope. Binoculars are particularly useful for viewing terrestrial objects, like fauna or flora. In addition to this, binoculars are considerably less expensive than telescopes and will help you get used to the idea of looking to the skies through an instrument. If your budget is really tight, you can remain with the binoculars for some time and build up your skills while saving up for a telescope. Try getting a pair of affordable binoculars for sale on eBay or especially on Amazon to get used to the experience. 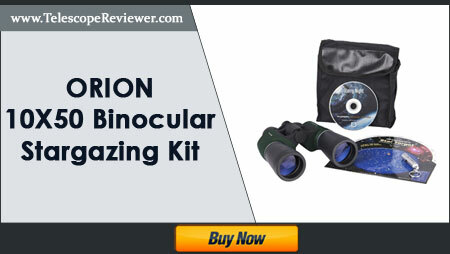 You can start off with the Orion 10X50 Binocular Stargazing Kit if you’re not sure what to choose. If you surf the web and search for telescope pictures, there’s a big chance that you will come across jaw-dropping images of planets, nebulae and galaxies. These images are indeed impressive, but you need to be well aware that it is almost impossible to obtain them with a budget telescope. Just like cameras, telescopes are sold using a basic principle: the more performant the telescope is, the more expensive it will be. You can always invest in a top-notch telescope, but we highly recommend that you take some time to learn how to use this instrument before aiming for state of the art scopes. If there’s some advice that we’d like for you to keep in mind from our buying telescope guide, it would definitely the benefits of shopping for telescopes online. Almost any telescope buyers guide will give you pointers about how to buy a good telescope online, stressing upon the advantages that shopping through the internet has. Even though you might be tempted in deciding which telescope to buy face to face, in your local store, you should really consider an Amazon search beforehand. If you choose to buy a telescope online you will enjoy discounts, promotions, offers and an abundance of verified customer reviews for countless models. The first question that probably popped into your mind when you started reading our Telescope Guide is ‘What telescope should I buy?’. This is why our guide to buying a telescope will continue by explaining what type of telescopes are available on the market so you know what telescope to buy. A term you will frequently come across when looking to purchase a telescope is reflector or reflecting telescope. How do you know what telescope is a reflector? Easily – reflecting telescopes use mirrors to reflect light (that’s where the name comes from). Reflecting telescope buying also involves knowing the various types of reflectors that you can choose from, such as Newtonian, Gregorian, Cassegrain or Herschelian, just to name a few. A couple of reflectors you can look into for a backyard telescope are Orion 8974 SkyQuest XT8 PLUS Dobsonian Reflector Telescope, the Celestron Astromaster 114 EQ Reflector Telescope or the Meade Instruments 216006 Polaris 130 EQ Reflector Telescope. If a reflecting telescope uses mirrors to reflect the incoming light, refracting telescopes use lenses to refract the incoming light. In other words, the main difference between these two types of telescopes is that one uses mirrors, while the other uses glass lenses. A refractor is a great telescope for stars that will provide high-quality images, which also has a nice, strong build. A few of the refracting telescopes you can choose from are the Explore Scientific 127mm f6.5 Refractor OTA Doublet Air-Spaced Achromat Telescope, the Meade Instruments 209002 Infinity 60 AZ Refractor Telescope or the Sky-Watcher ProED 80mm Doublet APO Refractor Telescope, among many others. Astronomy.com explains that catadioptric telescopes (also known as compound telescopes) are defined through this term ‘due to both the reflection and refraction of light’. As you can probably imagine, a compound telescope combines the qualities of both reflecting and refracting telescopes, meaning that they use mirrors and lenses to function. Compound telescopes have gained popularity in recent years, thanks to their numerous benefits, including their compact structure (great for traveling) and use-friendly features. 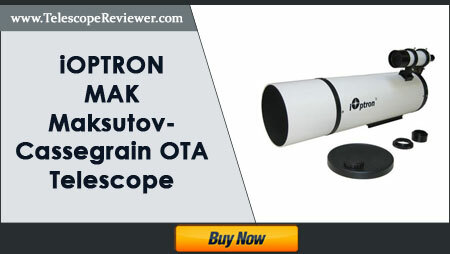 The iOptron MAK 152mm, 1900mm Focal Length f12.5 Maksutov-Cassegrain OTA Telescope is a fain catadioptric to consider, as well as the Celestron NexStar 130 SLT Computerized Telescope (the best-selling compound telescope on Amazon) or the Celestron NexStar 6SE Telescope (also a top seller on Amazon). A fundamental aspect of learning how to buy a telescope / how to purchase a telescope, how to shop for a telescope and finding out ‘which telescope should I buy?’ is knowing what to look for in your purchase telescope of choice. We will continue our astronomy telescope guide with what features you need to take into consideration when purchasing a telescope. Any telescopes buying guide or astronomy telescopes guide will tell you about the importance of aperture when going through telescope how to buy tips. If you want to know ‘what is a good telescope to buy?’, you have to start with this aspect. Even though it might sound complicated, the aperture of a telescope is simply the diameter of its lens or mirror, depending on whether it is a refracting telescope or reflecting telescope. The larger a telescope’s aperture is, the brighter and more vivid the images you see will be. One of our top recommendations for our telescope purchase guide is that you search for telescopes with a generous aperture for the best results. Second after aperture in our buying telescope guide is magnification. While most beginners want to know how to find a good telescope with powerful magnification, you should know that that this factor does not depend on the telescope itself, but actually on the eyepieces you use. In this regard, eyepieces can offer either high power magnification or low power magnification and you should choose them according to the celestial objects you want to observe. We will speak more about eyepieces in the following section so you can get a better idea of how they work. Like we previously mentioned, a critical part of learning how to buy an astronomical telescope and a significant part of our guide to buying telescopes is understanding eyepieces. The secret for an excellent observing experience is finding just the right magnification for the celestial object you plan on viewing. If the magnification is too weak or too powerful, your target can either appear too low-lighted to see or far too bright to understand. The type of eyepiece you should use is strongly connected to the type of target you have in mind. For example, if you want to observe galaxies, you should look into a good low power magnification eyepiece. Another one of the essential tips in our astronomical telescopes buying guide is the build of the telescope you chose. If you are buying a telescope for beginners, you might not want to go with a huge telescope straight away, for quite a few reasons. First of all, a telescope to see stars doesn’t need to be gigantic to do so and to see Jupiter through a small telescope can be done just fine. Also, if you’re wondering ‘how much for a telescope that’s large?’, the price tag might be bigger than you thought. 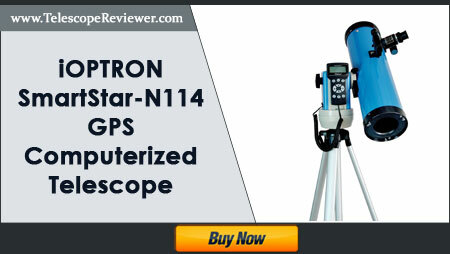 You can find small, cheap telescopes for sale that will not only get the star-gazing job done nicely, but that will also be easier to carry to various observation points. Our astronomical telescope buying guide continues with tips on how to buy a telescope for beginners with yet another decisive factor: the mount. When it comes to buying someone a star spotting instrument (or buying one for yourself), there are two main categories of mounts that you should learn about: equatorial and alt-azimuth. 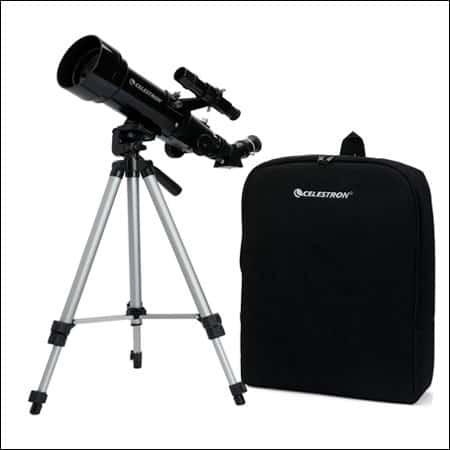 Equatorial mounts are recommended for those who are interested in experienced astronomy; you might not find it as a recommendation in a telescope guide for beginners or among best buy telescopes for beginners. An equatorial mount has an east-west axis and a north-south axis, also known as a polar axis. The north-south axis will be tilted, in order to be parallel to the polar axis of the Earth. Alt-azimuth mounts, on the other hand, involve operating a scope in altitude (up and down) and in azimuth (left and right), which explains its name (frequently shortened to alt-az). 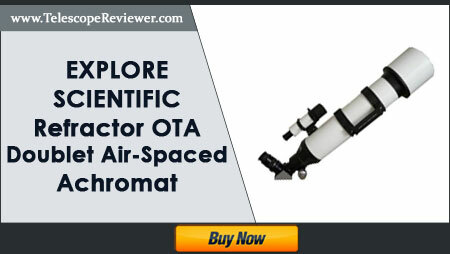 Almost any beginners guide to telescopes or general guide to telescopes will explain that alt-azimuth mount telescopes are ideal for amateur astronomers or those who are interested in terrestrial observation. If you’re thinking about whats a good telescope to buy, you have to be aware of the finderscope. In a nutshell, a finderscope works like a tiny telescope attached to your main one that helps you find your targets in the sky (as the name suggests). In order to point out ambitious celestial targets, you will need a good finderscope that can help you do so. Most telescopes come with standard finderscopes that won’t give you the results you expect. 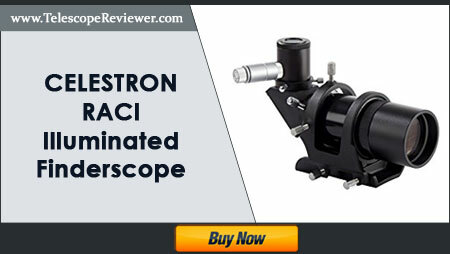 If you want to find your targets with ease and enjoy them in their full beauty, you should consider purchasing a finderscope separately, such as the Celestron RACI Illuminated Finderscope. No telescope shopping guide is complete without a few core examples of models you can buy. Instead of searching for ‘telescope for sale eBay’, we invite you to check out some of the most respected brands that manufacture telescopes, together with a few of their most popular models. Celestron is easily one of the most trusted telescope companies on the market, topping best-seller lists around the globe. Their products are well-built, user-friendly and highly affordable for the value they offer. 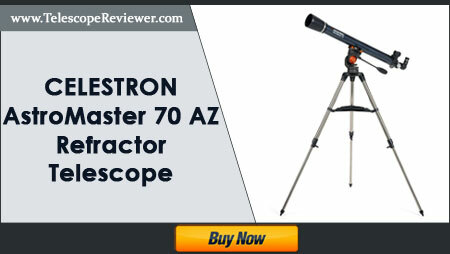 The fact that the four best-selling telescopes of all on Amazon are designed by Celestron should help you realize that you can count on this company for top products. The Celestron 127 EQ PowerSeeker Telescope is a #1 best-seller, while the Celestron 21035 70mm Travel Scope Telescope ranks in at #2 and the Celestron 21037 PowerSeeker 70EQ Telescope at #4. 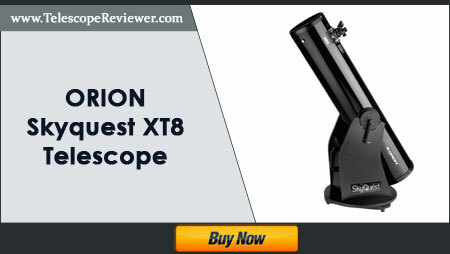 Another top-rated telescope brand on the market is Orion. It appears alongside Celestron on best-selling lists, for mostly the same reasons. 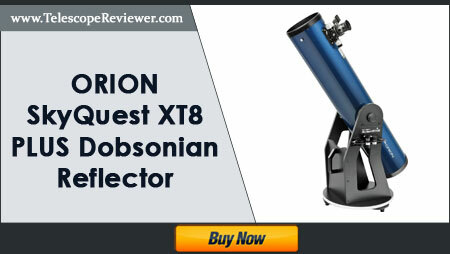 Orion is particularly noted for the Dobsonian telescopes it sells, such as the Orion 10135 SkyQuest XT10g Computerized GoTo Dobsonian Telescope, the Orion 8974 SkyQuest XT8 PLUS Dobsonian Reflector Telescope or the Orion 10014 SkyQuest XT4.5 Classic Dobsonian Telescope, among numerous other options. The Orion 09007 SpaceProbe 130ST Equatorial Reflector Telescope is currently the 7th best-selling telescope on Amazon, so you might want to give it a try. 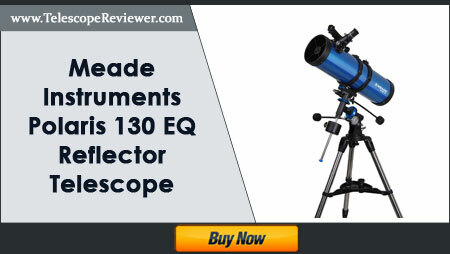 If you are on a really tight budget, you can count on Meade for inexpensive telescopes that do a fair job when it comes to observing the skies. The Meade Instruments 209002 Infinity 60 AZ Refractor Telescope is one of the most popular choices, but models like the Meade Instruments 216006 Polaris 130 EQ Reflector Telescope or the Meade 209001 Infinity 50 AZ Refractor Telescope are just as sought-after. While Meade products won’t give you the sharpest images or the best quality on the market, a great number of models are under $100 (with some even under $50) and are nice telescopes for beginners or for children. 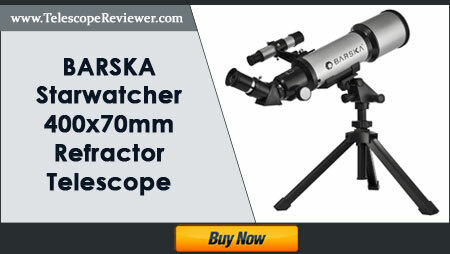 Among popular telescope companies, we can also find BARSKA. This California-based company designs products with the intermediate or experienced astronomer in mind, so their products are not suitable for amateurs. Nevertheless, the quality, design, and results they bring are admirable; in addition to this, they are fairly-priced for the features they offer. 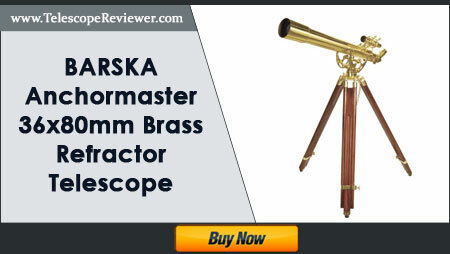 A unique piece is the BARSKA Anchormaster 36x80mm Brass Refractor Telescope with Mahogany Floor Tripod, with a stunning vintage design that makes it not only highly valuable but also highly appealing from a visual point of view. You can also read about the BARSKA Starwatcher 400x70mm Refractor Telescope, a best-seller on Amazon. Just like BARSKA, iOptron aims for the more experienced category of astronomers, with a myriad of features that pros will certainly have praise for. Even though we don’t recommend them for those who are not at an intermediate or advanced level in astronomy, they are excellent products to keep in mind when you begin to progress with this activity. The iOptron MAK 152mm, 1900mm Focal Length f12.5 Maksutov-Cassegrain OTA Telescope is a fine choice to consider, as well as the iOptron 7100-HC ZEQ25 with Polar Scope and Hard Case Telescope. If your budget is generous, you should think about Vixen Optics as a source for your high-quality scope. We do warn you that you won’t find many Vixen Optics models under a few hundred dollars, but customers report that their quality is amazing. You can choose from the Vixen Optics R130Sf with Wood Tripod, the Vixen Optics 39955 4.7-Inch Telescope or the other products their sell on their Amazon shop. Where Can I Buy a Good Telescope? Our telescope buying guide continues with one aspect that most scope shoppers are highly interested in: the best places to buy telescopes. Most newcomers are tempted to go to a store to try out a telescope, talk to a sales representative and get a feel of the product they’re about to purchase. However, buying a telescope from a local shop – or worse, a department store – can result in paying far too much for a telescope and not enjoying the variety that online shops offer. We always recommend searching for telescopes on Amazon, where you can read about customer experiences, compare ratings, features and much more. If you order a telescope from an official shop on this Platform you will also get free shipping in many cases, as well as warranties and other perks. How Much Is a Good Telescope? If you’re just getting familiar with astronomy, you probably won’t have any idea how much a good telescope is or how much you should be spending on one. When you think of telescopes and optical instruments, you know that you’re dealing with special equipment to carry out a special activity. This fact may lead you to think that a normal telescope costs hundreds of dollars. Indeed, highly efficient telescopes can be found in that price range, but you won’t need one of those as a beginner. Don’t stop at your first choice. You might find a telescope with similar features for a smaller price if you do your research. 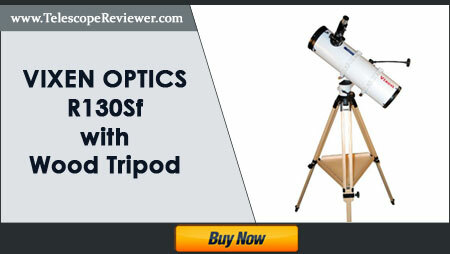 Buy your telescope online. You can benefit from huge discounts by getting the same telescope you find in a store on the company’s online shop on Amazon. Weigh out your desired features. Try to establish a balance between features and budget so you can get the benefits you desire without spending more than you can afford. Don’t be tempted to spend hundreds on a telescope that you probably won’t know how to use. Start with a good, inexpensive beginner scope and work your way up to the intermediate and advanced models (that will subsequently be more expensive). As our telescope buying guide is particularly for beginners, we want to recommend a few popular telescope models that will help you get started and that won’t leave your wallet empty at the end of your purchase. The Celestron 127 EQ PowerSeeker Telescope takes the gold as the #1 best-selling telescope on Amazon. 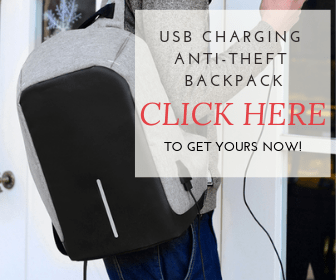 It is incredibly affordable for the value it offers, with its current price being $145 (15% less than its original price) and with free shipping when ordered on Amazon. It has a nice average customer rating of 4 out of 5 stars, with considerably more positive reviews than negative ones. 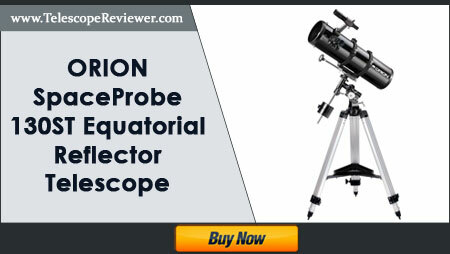 Another Amazon best-seller that doesn’t cost a fortune is the Orion 09007 SpaceProbe 130ST Equatorial Reflector Telescope. 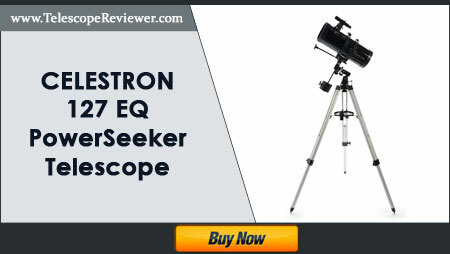 Even though it is a bit more expensive than the 127 EQ PowerSeeker sold by Celestron, it is still a very inexpensive telescope, part of the under $500 category. It currently is $299.99 on Amazon, but you should always check the product to see if any new promotions or discounts appear from the manufacturers. More than 74% of customers award this Orion SpaceProbe with 5 stars, so it is definitely worth looking into. It might be hard to believe at first, but you really can find decent telescopes for less than $100. One of these options is the BARSKA Starwatcher 400x70mm Refractor Telescope, the 6th best-selling telescope on Amazon at the moment. It is currently just a bit over $63, at a 55% discount. If you order this scope on Amazon you get free shipping and you can also read the +220 customer reviews that talk about personal experiences with this model. 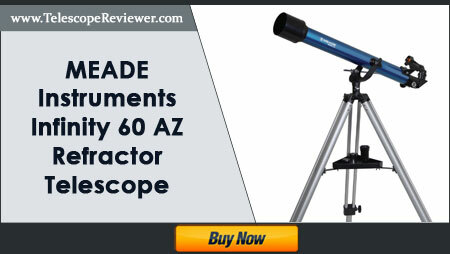 The Meade Instruments series has a number of models that have made the top-selling lists on Amazon, and the Meade Instruments 209002 Infinity 60 AZ Refractor Telescope is definitely one to consider. It is only around $75 and you also benefit from free shipping when you order on Amazon. It has an impressive average customer rating of 4.4 out of 5 stars, with 63% 5-star ratings and a mere 3% each for 1 and 2-star ratings. 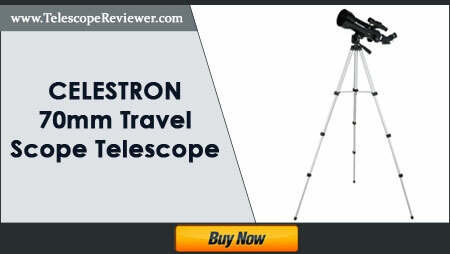 The second best-selling telescope on Amazon is the Celestron 21035 70mm Travel Scope Telescope. Like its name would suggest, it is an exceptional scope for those who are planning to travel in order to get suitable viewing conditions. It is also one of the cheapest quality scopes you can buy, at just $79.99 on Amazon. We recommend that you check this product out on this platform to consult hundreds of customer reviews that will help you make your decision. 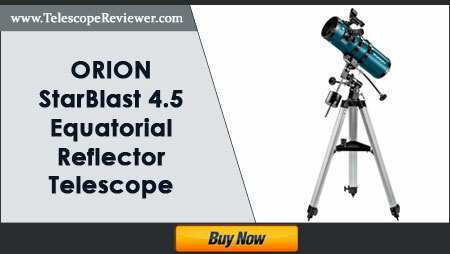 The Orion 09798 StarBlast 4.5 Equatorial Reflector Telescope may cost more than other cheap telescopes on our list, but its high customer rating and amazing value are decisive for its status as an Amazon best-seller. You can get it for a few dollars over 200 (keep in mind that you get free shipping) and explore the night skies with this popular Orion scope. What about the,Cskyer with a 90 mm aperture (3.5 inch) and a focal length of 600 milimeter and ratio of f/6.6? This ordinarily seeks for $299. The Gskyer 600x90mm AZ Telescope is definitely another great option to consider. 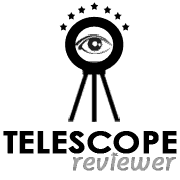 In fact, if you want to learn more about it, you can read our review of it. At this time, you can buy it for less than $300.